User testing the food ordering app. Video documentation of the user testing. I did some user testing for my food ordering app that I had designed last week. I had five users perform different tasks, talking through each of the decisions they were making. At the end, each user offered up some advice about what would make the experience more intuitive. Since we didn’t need to test a working prototype, I decided to perform these initial tests using my laptop rather than a touch screen iPad. I created a Keynote presentation with invisible buttons that users could click to simulate the interface and flow of the app. I set up my laptop at a desk at ITP and invited five people to test my app for 5-10 minutes. I used the same script for each user, explaining the idea and providing directions for the test. I reminded users to talk out loud as much as possible while they were testing the app. Add a chicken sandwich with pesto to your shopping cart. Add a tea with milk and honey to your shopping cart. Go to checkout and purchase your items. Everyone agreed that the interface was clean, well-designed, and easy to navigate. They had no problem completing the tasks. All the users, however, expressed a desire to be able to navigate more quickly around the app rather than going back and forth between screens. Several users suggested adding a sidebar menu. Another problem that arose during the test had to do with the last stage of the payment process. 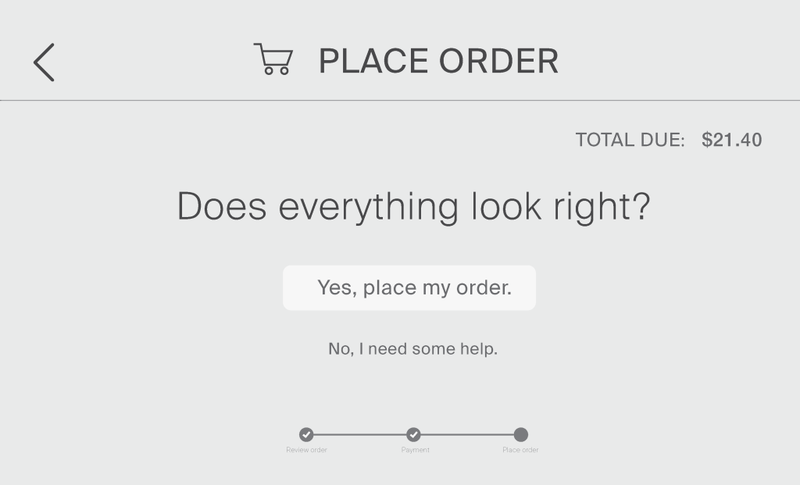 The prompt says “Does everything look right?” but there is no summary of the order for the user to review before clicking “Yes, place my order.” Users said that the flow was a little confusing. One user tried going back to his order to check. 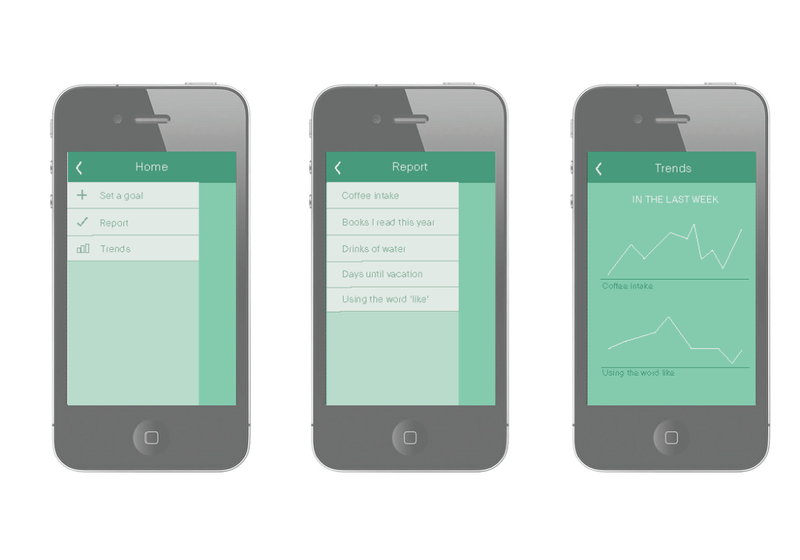 The user testing helped me decide how to improve my app. I had anticipated that people would ask about adding a sidebar menu – after all, that was something we had discussed in class – but I had not anticipated the adverse reaction to the payment slide. In the next iteration, I would add a sidebar menu that could be accessed at any time. I would also add a summary of the order on the last slide. Last week, we designed a physical object that could function as a counter triggered by the end user. Inspired by the classic pomodoro timer, I prototyped a counter that required a twist to move up or down. 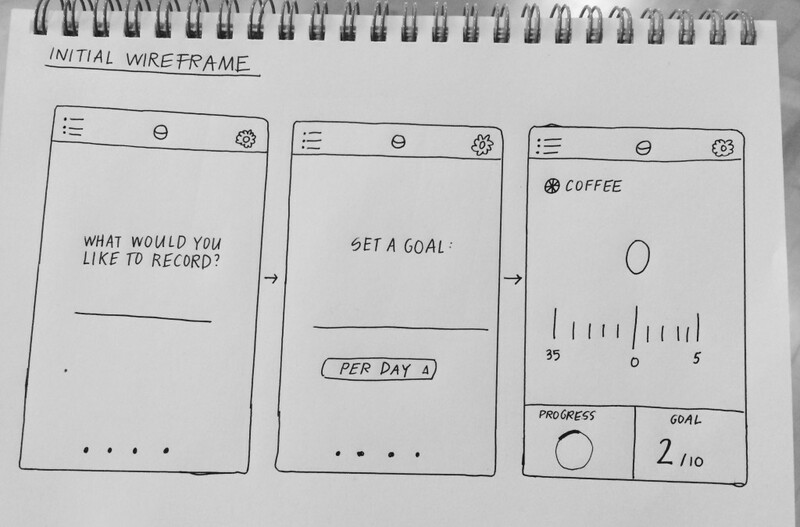 This week, I prototyped the app version of my counter with some wireframes. 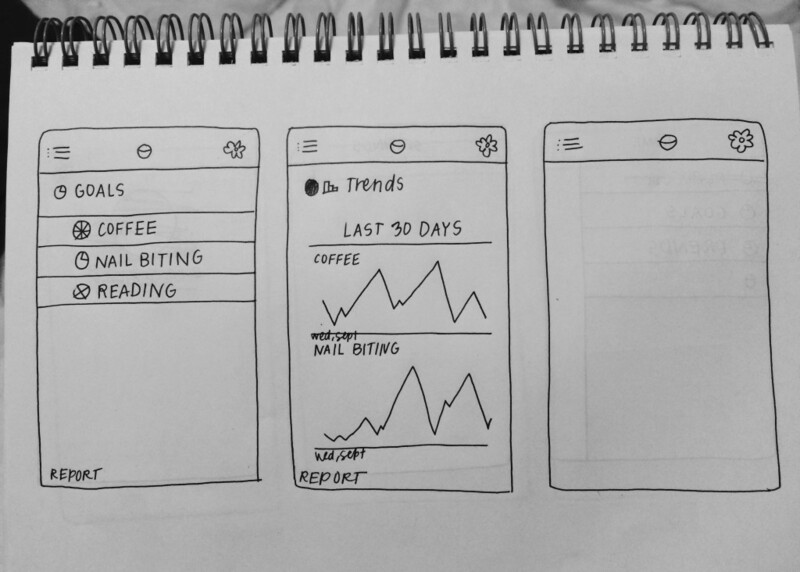 I started the design process by collecting my thoughts about the user of this app: Who is he or she? What would he or she be using this app for? What are the primary functions of this app? I decided that I wanted to build an app that allowed the user to set simple numerical goals for herself and then track those goals over time. 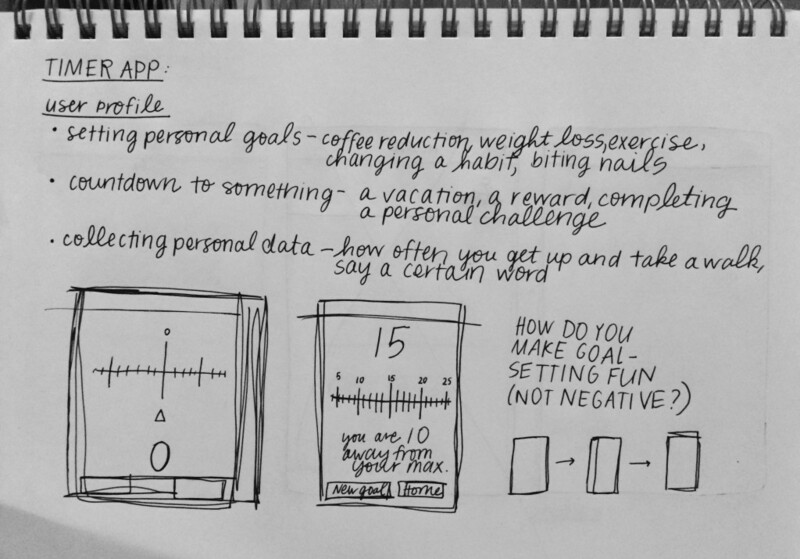 I had a lot of ideas about how to make goal-setting a more positive experience. For instance, studies have shown that individuals are more successful at achieving their goals when they frame the experience as an accomplishment rather than a punishment. 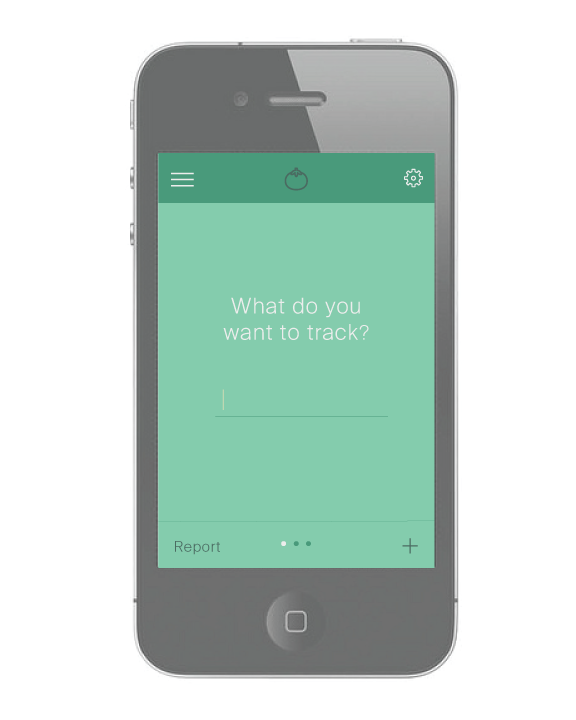 I thought about adding metrics so that the user could track his/her goals over time. Here is the initial flow: When you open the app (or when you click the + button on the bottom right hand) the app prompts you to add a new goal. 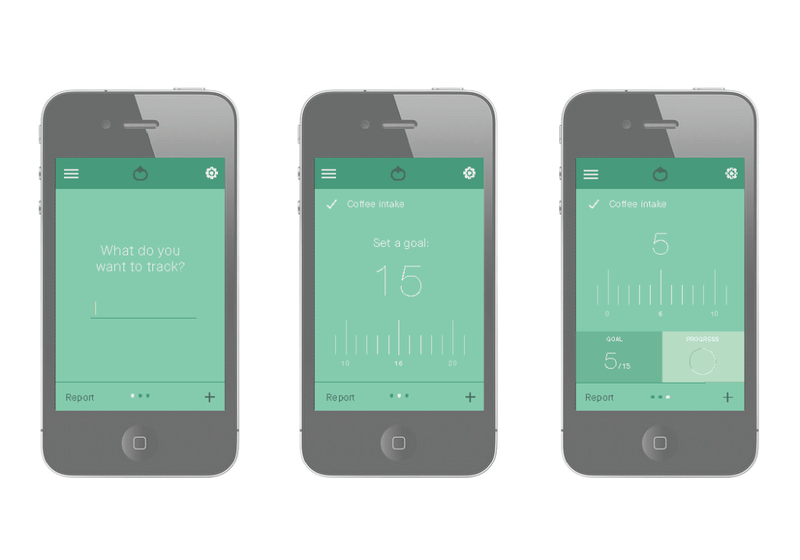 You enter the name of the goal, you input the number you would like to reach, and then you can track your progress. If you click the menu button in the top left hand, this is what the flow would look like. You can set a goal, track a goal, or view overall trends over time.